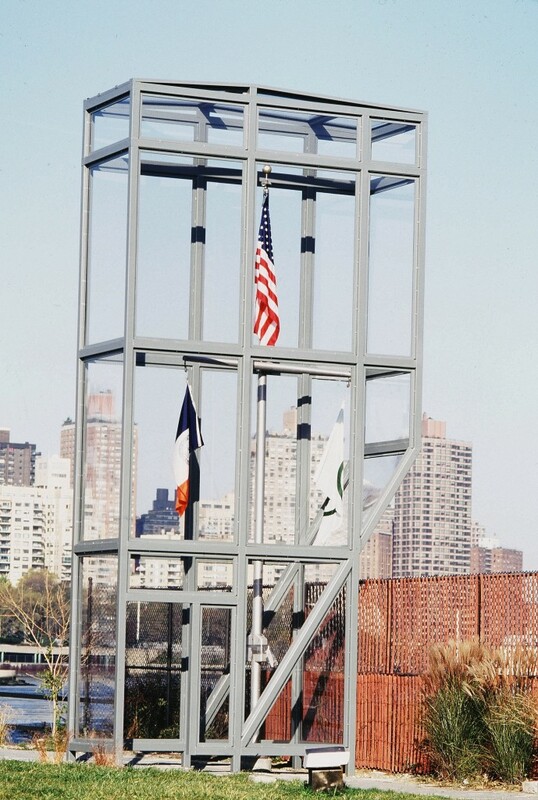 I visited Socrates Sculpture Park in the winter of 1998 and was startled by the enunciative presence of the United States, Parks Department, and municipal flags and flag pole contrasted against the personal visions of artists. The flags and flag pole are both the declaration of a manifold set of sociopolitical spaces and anomalous objects in a sculpture park but we do not further discuss what they signify or the lexica constructing them. I wanted to discover what becomes of these objects in the close company of sculpture. Vitrine (Architecture for Flags) is an enterable enclosure surrounding the flags and flagpole, inviting people closer to the flags than they might have come otherwise. Vitrine is a reflective space for reflecting upon or enveloping an institutional complex one may belong to or be excluded from. This work is the friction between "Long May It Wave" and "Don't grow old, don't fad away." 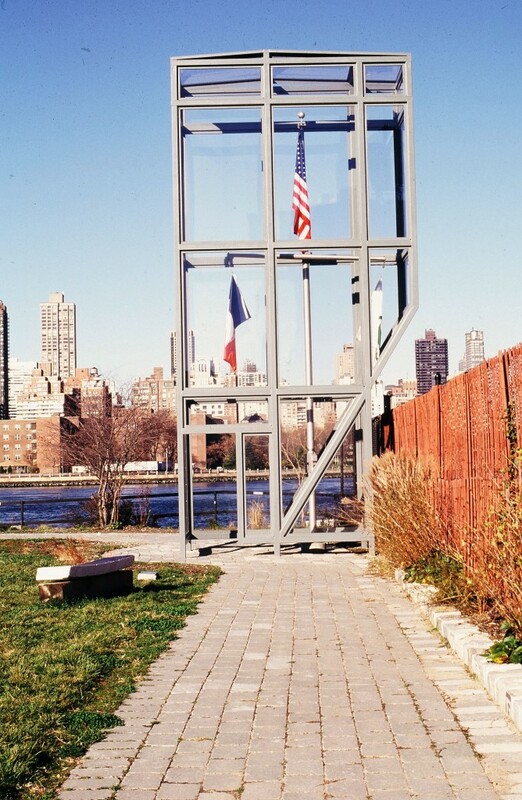 Vitrine (Architecture for Flags) is site and context specific -- a sculpture, a privatization of public territories which necessarily hangs over private property, a display for the physicality of (un)freedom. What I found compelling was not only the possibility of making one recognize something new in something that has been but more so to force one to reinvest an object with an image (its image) that one knows as well as their own face.